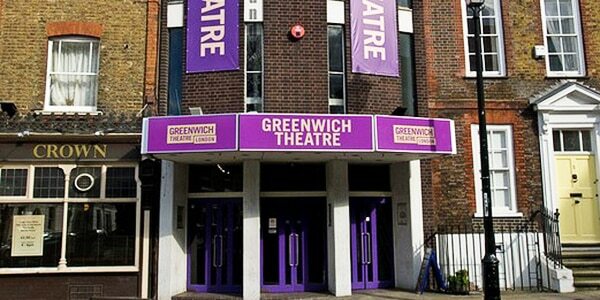 The building that now houses the 421-seat Greenwich Theatre has history dating back to 1855. It was originally a music hall, before going through 5 name changes and a conversion into a cinema in 1924. The building was closed in 1949. A concerted campaign saved the building from demoltion in the 1960’s and the building finally opened as the Greenwich Theatre in 1969. Its opening production was the world premiere of Martin Luther King by Ewan Hooper. The theatre hosted several successful productions (including a revival of Noel Coward’s The Vortex, Chekov’s Three Sisters, and the premiere of Another Country) before closing again in the late 90’s when its annual subsidy was withdrawn. The theatre re-opened in 1999 and continued its commitment to producing top-quality plays and musical theatre. In 2002, the theatre produced Musical Futures 2002, a showcase of 12 new musicals. One year later, the venue was host to the first major revival of Golden Boy, a musical not seen in London since 1969. The theatre presents festivals annually, including the Greenwich Children’s Theatre Festival, the Greenwich World Cultural Festival, and Greenwich Dance, as well as producing a free outdoor summer show. The company has increased its work with emerging artists by holding artist development programmes and presenting an Emerging Artists Season in May.